World renowned singer Rihanna reportedly refused to take up an invitation to perform at the Super Bowl during the half time show in support of Colin Kaepernick, the first player to kneel during the US national anthem. An unnamed source close to the singer allegedly told US Weekly magazine that Rihanna “does not agree with the NFL’s stance” on the kneeling issue. The NFL were initially against kneeling, promising to fine players who did, but now allow them to remain in the changing room instead of taking to the field for the anthem. 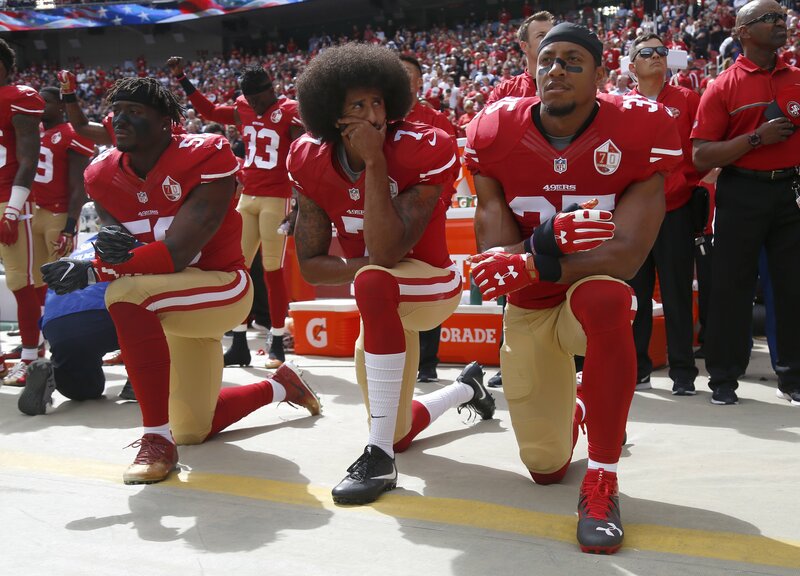 Kaepernick began the kneeling movement when he played as quarterback for the San Francisco 49ers, but since, numerous players have followed suit. They kneel during the anthem to protest against police brutality against African Americans and racial inequality. The quarterback is now without a club after opting out of his contract in March 2017, and has since filed a grievance against NFL team owners as he claims he has been conspired against so nobody will offer him a contract. His fame has not dwindled though, and recently became the face of the new Nike advertising campaign, which caused shares in the company to sky rocket. Maroon 5 are now scheduled to perform at half time on February 3rd.